Tommy was employed as a law enforcement in the State of Georgia from 1969 until 1997, serving in city county and state levels. He joined PBA in 1984, during the initial formation of Georgia PBA. He served as president of the Flint River chapter for several years as well serving on the Executive Board of Georgia PBA. He remained a member of PBA throughout the rest of his law enforcement career. Ending his law enforcement career in 1997, after the formation of Southern States PBA , Tommy accepted employment as a staff representative with PBA in the State of Mississippi. 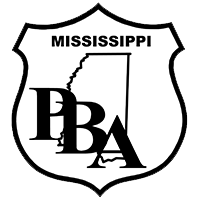 He has previously served the association as a staff representative and as Executive Director of the Mississippi PBA Division. He currently serves as Director of Organizational Services for the West region of Southern States PBA and resides in Tupelo, Ms.
"While I no longer carry a badge or the burden that goes with it, I am still very much a cop at heart. My past experiences as a law enforcement officer have instilled in me a strong passion to make things better for those who still serve and there is no better place to accomplish this than PBA."